Let’s say you’re at the supermarket to pick up a few plums. You get to the display and you spot some outliers. They’re not purple, like the others. They’re green. They are what a data scientist would call anomalies. But the data scientist’s world is the beach, not the supermarket. And the anomalies are more like oddly colored grains of sand. Think of the beach as big data, and picture it growing bigger by the wave. That’s why anomaly detection is anything but simple. But anomaly detection is a critical step in applying analytics to the digital transformation of business operations. That’s why it’s important to companies around the world, and why it should be of more than passing interest to the mangers and executives of businesses that hope for successful transformations to all-digital operations. By all industry measures, data is growing at previously unforeseen levels. Expected growth in IOT devices is well into the tens of billions by 2020. Even today, connected machines and IoT devices are putting out dizzying numbers and types of signals about themselves. On a manufacturer’s shop floor, for instance, production machines can generate hundreds of anomalies a day, with any given anomaly representing the output of several hundred individual sensors. Management’s challenge for the coming influx of more sophisticated machines – frequently called Industry 4.0 – will be to find ways to analyze these signals in time to make meaningful changes or proactive repairs in order to minimize costly downtime. Also challenged are the makers of sensor-equipped IoT assets, from large machines down to field test equipment and other devices. These assets will create new value through self-monitoring/self-test capabilities, but only if they allow detection and adjustment in time to minimize damage or repair costs. Not to be left out are the network carriers of the IoT signals. Their challenge is to add higher levels of interpretation, and thus higher levels of value, to the signals they transport across landlines and through the air. Their workload is growing fast, and equipment outages are not well tolerated by commercial or consumer subscribers. Detecting anomalies in the face of growing sensor and signal volumes is one thing. Doing it at near-real-time speeds is another. That’s where the magic of “AI,” or more specifically machine-language modeling, comes in. After all, given enough time and Excel spreadsheets, human analysts (or older-style business intelligence solutions) could detect and classify a good number of anomalies. In today’s transformation to digital operations, the need is clear for something much better, and that something is machine-language modeling. Put simply, machine-language modeling is a process for finding answers to problems that don’t yet exist, or that haven’t already been fully defined. Data scientists typically begin by creating a mathematical model of the physical device they want to investigate. They “train” this model according to what information they already posses about its operation – for a production machine this might include everything from design details of its components to its history of repairs and upgrades. Once trained, the model, which is often called a digital twin, runs in lockstep with the physical device, continuously taking in information about the device’s behavior under real-world conditions. Built-in AI technology helps the model identify meaningful behavioral patterns, while higher-level analytics models combine this information with other contextual data, such as the behavior of other shop-floor machines or the temperature, humidity and other conditions of the plant itself. Also, geo-space mapping gives managers a visual representation of the physical area that is under investigation. To respond to the speed challenge, all this takes place in near real time. More advanced anomaly detection solutions go a step further by adding time-series computations from diverse sources such as log files and network telemetry scores, and by scaling beyond one million events per second. Advanced anomaly detection combines with real-time operations visibility to produce measurable results across a range of industries. One example is in manufacturing, where many heavy equipment makers are transitioning to a more service-oriented business, making larger portions of income from service and repair. 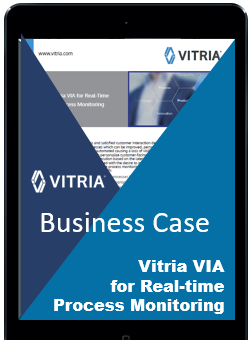 Because of this, profitability is tied more closely to minimizing idle time and emergency demands for spare parts. One company met these challenges by using advanced anomaly detection to create digital twins. The digital models included baselines by equipment type, part, location and connected assets, and used IoT sensors to take in vibration, temperature and other data. Through the twins, the company was able to constantly model machine-health and behavioral indicators. As a result, equipment uptime increased by 12 percent and time to repair was reduced by 38 percent. Results like these are meaningful in the context of revenues and profit margins, of course. But they’re also valuable in demonstrating how real-time analytics can help organizations take control of operations in real-time. 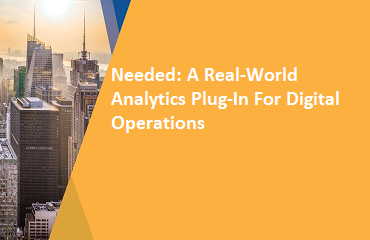 This – digital operations – is an essential element of business transformation. 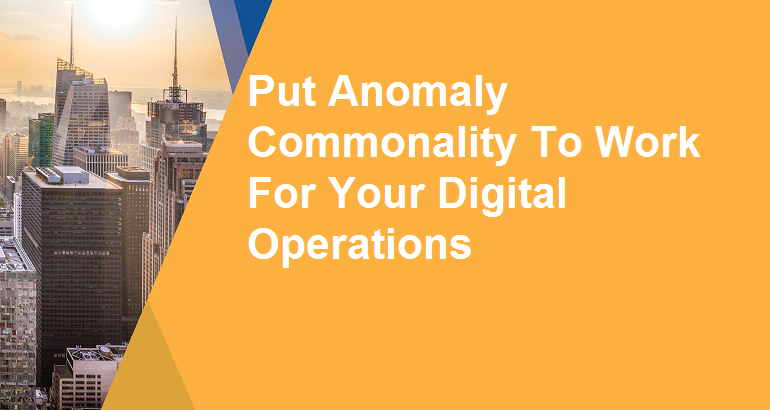 Not only does advanced anomaly detection create immediate value today, but it also paves the way for more sophisticated analytic functions such as change management and dynamic failure prediction, functions that further advance digital transformation.